The best bed and breakfasts in Puerto Rico. Puerto Rico B&B's out on the island, in San Juan area, old San Juan, on the beach, in Rincon and in the El Yunque rainforest. Our members are the finest B&B's Puerto Rico offers. Choose from one of our amazing bed and breakfasts located island wide. Or why not enjoy a couple of them with our special packages. Casa Sol’s recently restored building captures the unique history and cultural values of the 18th century in a blend of colonial and contemporary styles. Eddie Ramírez and Tisha Pastor provide their guests with the best touristic and gastronomical references and serve breakfast made with local produce every morning. Five guestrooms include private restrooms, air conditioning and ceiling fans. 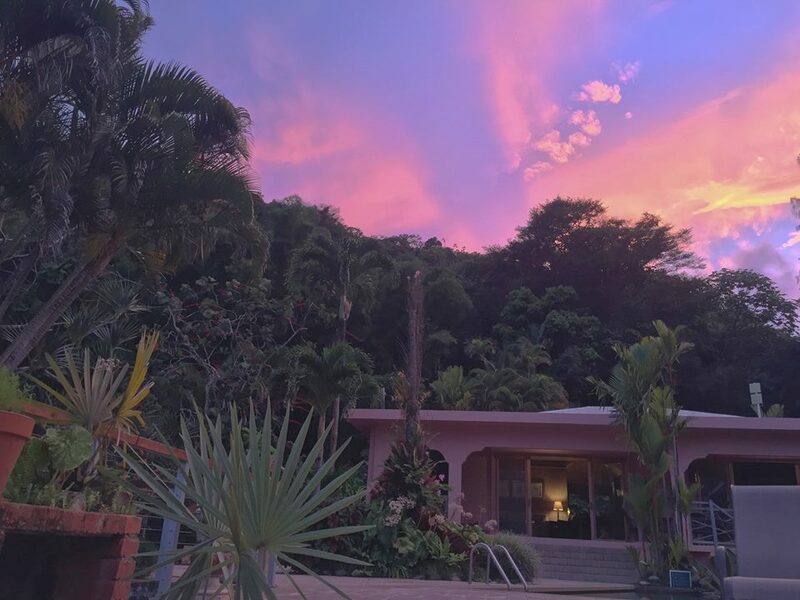 Elegant, secluded and enveloped by the jungle, the Rainforest Inn offers an escape into El Yunque National Forest, while being only a short drive from the Luquillo kioskos and Old San Juan. Renée and Bill’s peaceful and environmentally-responsible residence is complete with a yoga studio, koi pond and private hike. Renée cooks gourmet vegetarian breakfasts augmented by local and house-made ingredients. Edwin Cortés Seguinot and Yaiza Arvelo Serrano provide tourists with an intimate experience of the heart of San Sebastián. The family-operated bed & breakfast is a two-minute walk away from the city’s historical museums and archives, antique church and plazas. Homemade breakfasts are made with local ingredients and served in an elegant dining room to emulate a family meal at home. You'll escape from the conventional at our boutique guest house. This property, just 70 minutes from San Juan International Airport, has been a retreat for famed artists for more than three decades. Be lulled by warm, gentle breezes and the beckoning of the 28,000 acre El Yunque National Forest...the only tropical rain forest in the US Forest System. This mountaintop retreat is your escape to paradise with private jungle paths and waterfalls, and a dipping pool you’ll never want to leave. Perfectly located, you will be just a stone throw away from the entrance of El Yunque National Rainforest, 28 minutes away from the Luis Muñoz Marin airport, the beaches of Luquillo, the bioluminescent bay in Fajardo and very near from the small island of Culebra whose. We combine historic elements with modern designs, eco friendly amenities and provide you with local activities for a memorable experience. 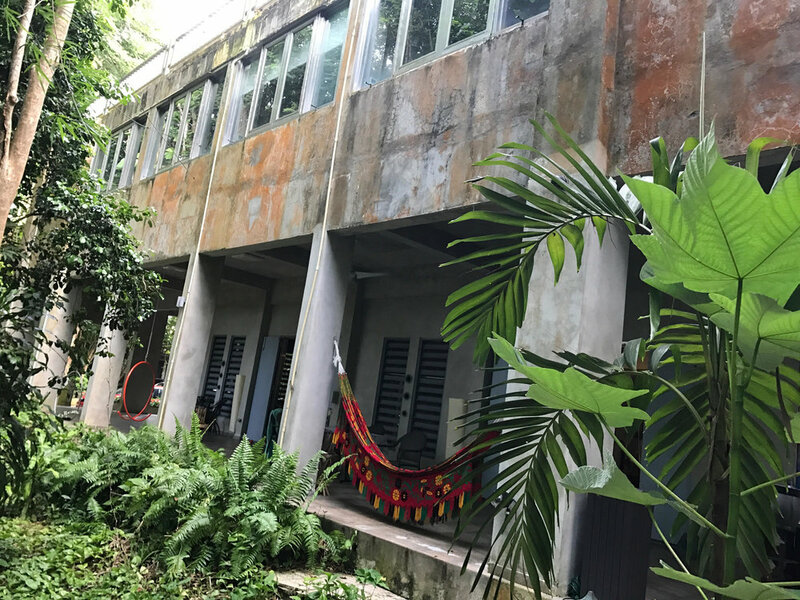 The residence of Edwin and Jose Miguél is a renovated 1930’s Spanish revival building nestled between the Ocean Park Beach and Condado tourist districts. Casa Isabel B&B boasts four guests rooms and plentiful common areas including a vestibule, balcony, breakfast lounge, living room, kitchen, patio lounge and garden, which have all been meticulously designed as quiet places for guests to relax on their own or interact with the hosts and other guests.